Cucumber Lemon Spa Popsicles ~ just like the refreshing water at your favorite spa, these flavor infused ice popsicles will hydrate, detox, and rejuvenate! 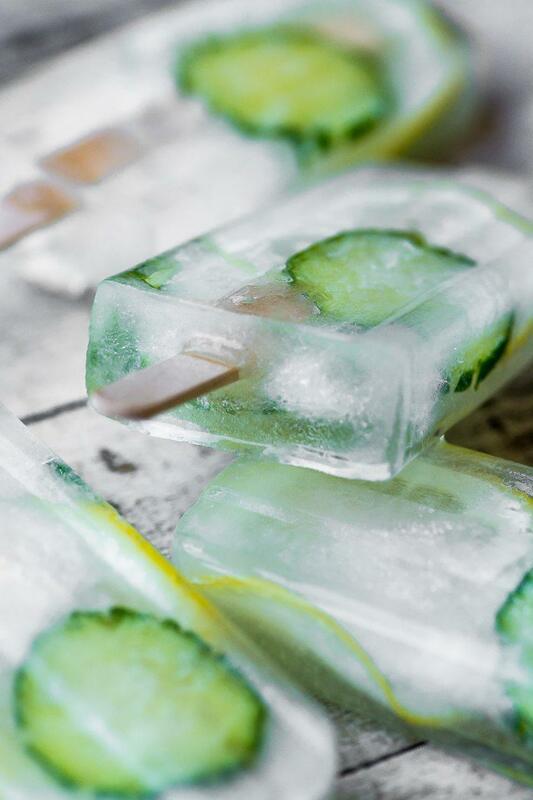 Insert a lemon slice and a couple of cucumber slices in 10 popsicle molds. Fill with water and let sit for an hour on the counter. Cover the top of the popsicle mold with foil, then insert the popsicle sticks. Freeze until solid. To remove the popsicles from the mold, dip the mold up to, but not over the top ledge in a sink filled with warm water. Slide the popsicles out and eat right away, or wrap in waxed paper and store in zip lock freezer bags. You can also store the popsicles right in the mold itself.